It’s a beauty cure for softening and moisturizing your hand skin using melted paraffin wax. The intense heat makes the absorption of emollients and essential oils to be especially profound. Paraffin wax can be heated to high temperatures, without burning or maltreatment of your skin! The paraffin wax is infused with various botanical ingredients such as aloe vera, chamomile, or tea tree oil, and fruit waxes such as apple, peach, and strawberry. After this fine delight, your hands will glow and your skin will gain a velvety look! Book your appointment now at chic nails & beauty and let your hands recommend you! 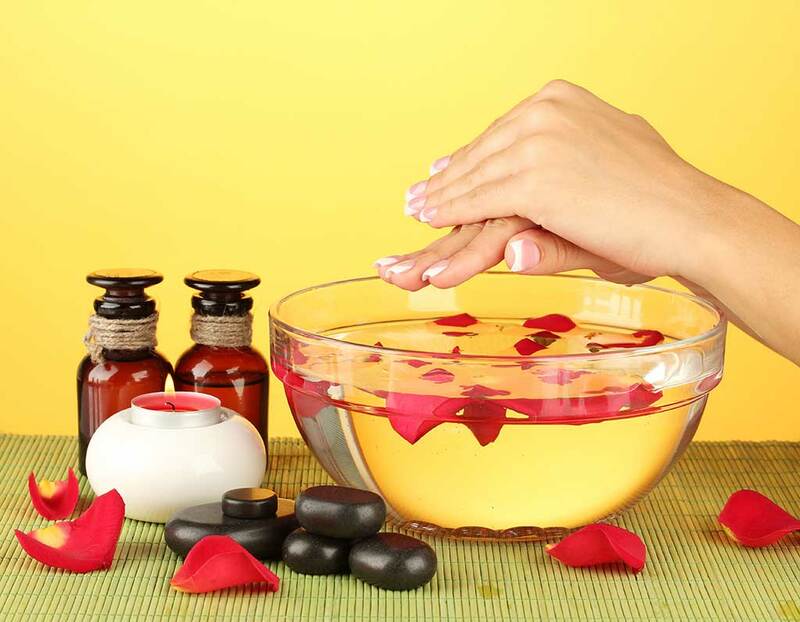 A hot oil manicure is a specific type of manicure that cleanses your nails cuticles and softens them with oil. For very thin nails, we recommend you to use olive oil, which helps your nails recover quickly! This manicure treatment can be done easily at home, but only if you wear your natural nails! The steps of this smooth and pleasant treatment, and more tips about beauty care, are at your disposal at Chic nails & beauty, where our specialists will take care of your beauty!